This little man's mama is creating a woodland setting in baby's nursery and using neutral colors with a touch of blue. The geometric print from Kate Spain's Good Fortune line seemed the perfect print for paper piecing as the densely printed pattern blurs well where the paper pieces come together. 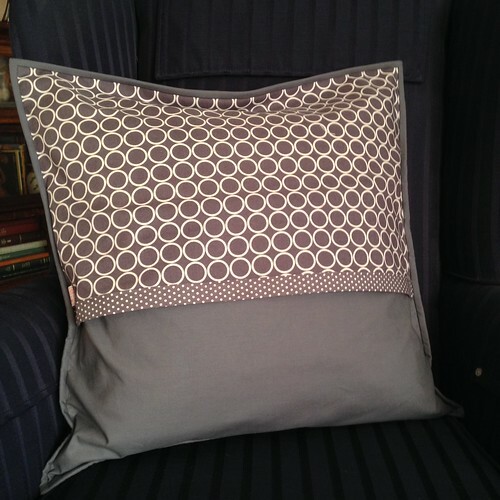 Looking through my stash I found a nice variety of medium dark gray fabrics to round out the project. 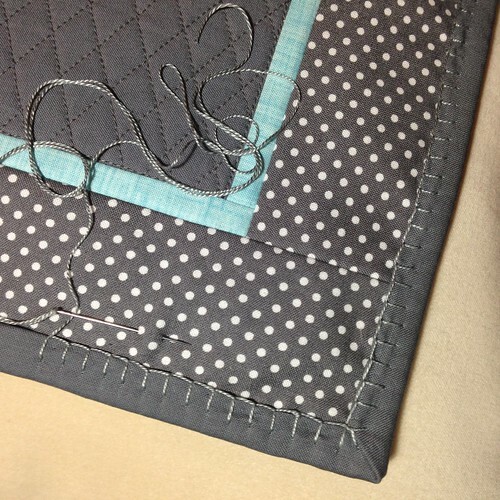 I wanted the solid gray background fabric to have a dense quilting that did not extend into the borders. 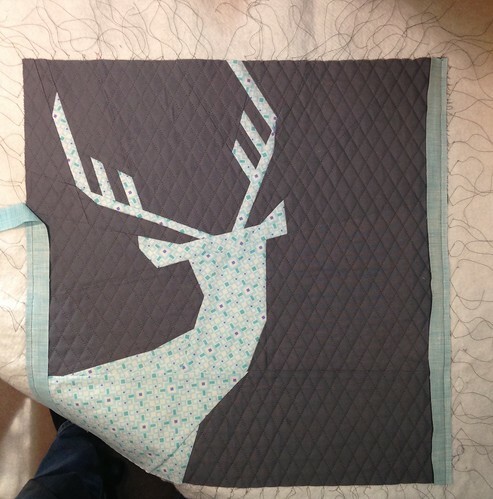 To accomplish this I layered the deer panel onto the batting; then used a ruler to mark 30 degree diamonds, and the edge of the walking foot to quilt the lines approx. 1/2 inch apart. 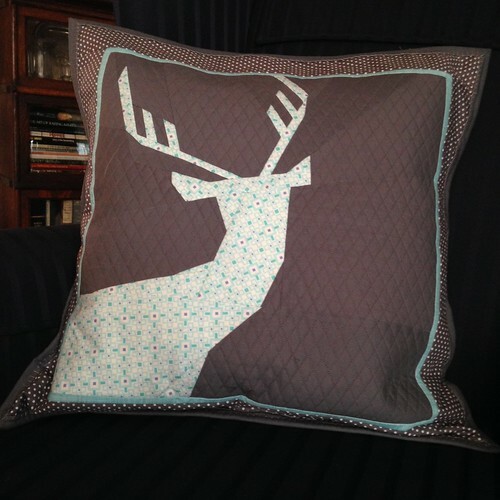 Each time I came to the deer I cut the thread, knotted it, and wove it in. After the quilting was finished I stitched the borders onto the batting. 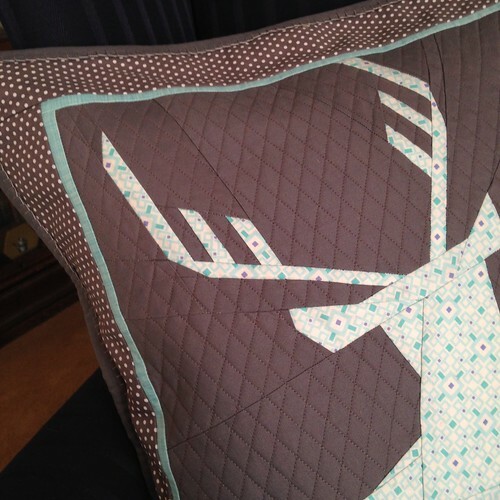 The dense quilting does a nice job of making the deer stand out from the background. 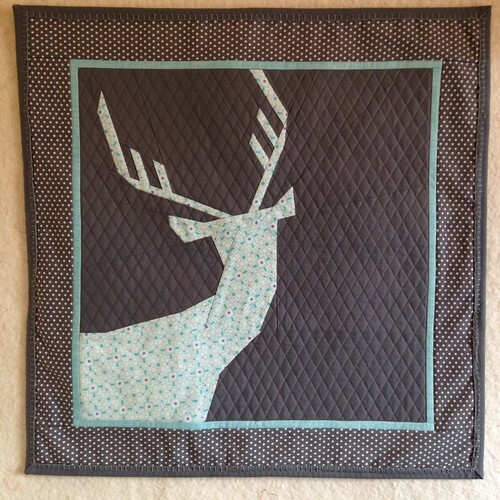 A thin blue 1/4 " border adds a nice frame, and then some fun polka dots to enhance the young look of the buck. Somewhere I remembered seeing buttonhole stitch used to sew down binding. I thought this would add a nice hand-stitched look as well as a texture, and I just happened to have the perfect gray perle cotton on hand! I love how it looks, but was surprised at how hard it is to do buttonhole stitch through cotton; definitely hard on the hands. I don't think I could do this on a larger quilt. I found two more prints in my stash which are just the right shade of gray to finish out the mini quilt. For the back I opted to go with an envelope closure; this allows the mini to be used either as a wall hanging, or a pillow. Using fun prints makes the back just as show-worthy as the front :o) Projects like this are so much fun! I love finding just the right fabrics and considering each little detail. I'm praying for the safe arrival of this sweet little boy, and blessings for his mama and daddy as they experience the joys of their first baby. Loving the green shingles and window trim! This picture was taken about a month ago. 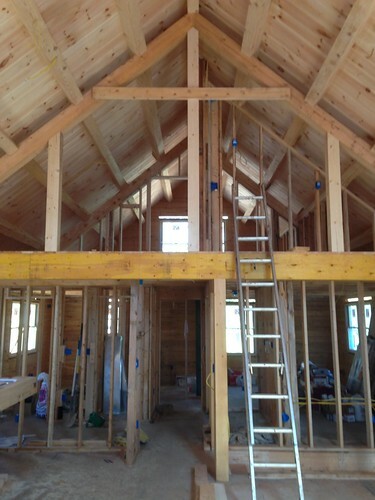 Our builders, Cabin Run Construction, are doing such a nice job! The roofing is complete and all windows are installed in this picture. The log walls are ready for the finish/protective sealer to be applied. 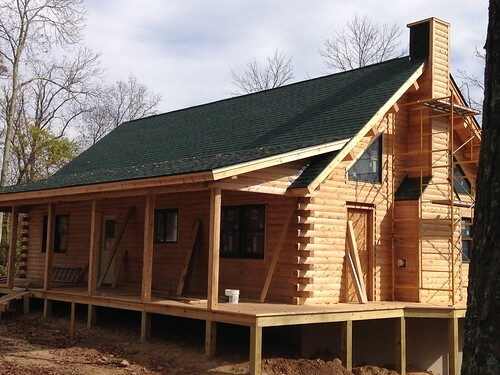 We've decided to go with Perma-Chink in the Cedar colorway; this seems like a natural choice since our home is built with cedar logs from Maine. This side door leads into the great room. I'm sure we'll use it a lot for fire wood :o) I'm so glad we decided to wrap the decking around the side of the house. The original plan was to just have a front porch and a back deck. But once we saw how the land would be graded around the house we opted to have this decking to connect the front and back. It's one of my favorite features. From the living room to the back deck we opted for a sliding glass door instead of a swinging patio door. This decision was based mostly on my thinking that a sliding door takes up less floor space to operate. We kept the deck off the back of the house a cozy size. This picture shows how it covers the patio door leading into the lower level. 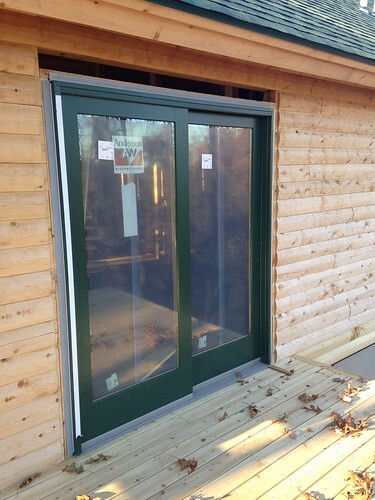 Both panels of the patio door are functional in order to allow large items to be moved in and out with ease. We won't have a carport or garage for awhile so the lower level will need to store kayaks and garden equipment. 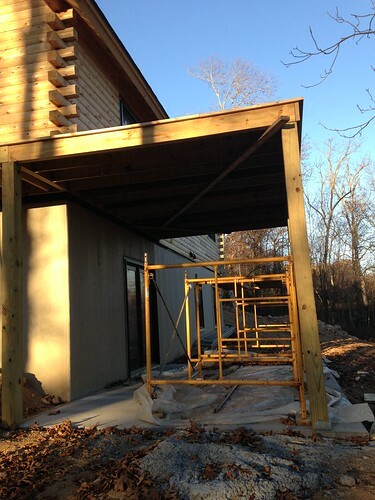 Since the back is the shady side of the house we had a concrete pad poured under the deck to prevent a muddy mess. In the great room the living area is to the left and the dining space to the right. We had a wood burning insert installed in the fireplace for maximum efficiency. This unit has an internal fan and a burn time of up to 16 hours. We are going with native field stone cut to a thin veneer and hope to do a rough hewn mantle. That big pile of wood to the right is actually cedar paneling. 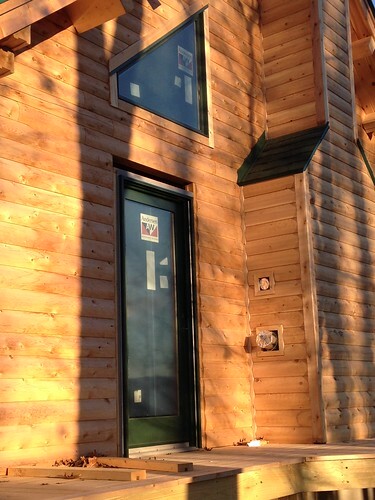 Katahdin log homes are built using what they call the energy envelope system. 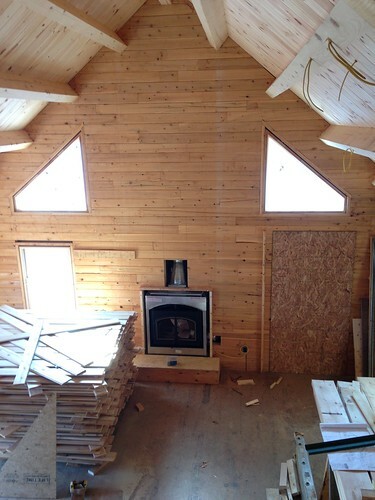 The inside of the house will be lined with rigid foam insulation and then covered with the cedar paneling. So, it looks as if you are seeing the inside of the logs, but it's actually the cedar paneling. This greatly increases the R value of the walls. This is pretty much where we stand right now. We'd hoped to be moving in by the end of the year, but it doesn't look like that's going to happen now. We've been busy picking out appliances, fixtures, and flooring. The decisions are both fun and a bit stressful; knowing these products are expensive, and must last a long time puts pressure to make wise choices. 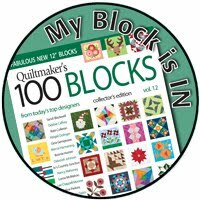 Okay - now for the results of the Quiltmaker's 100 Block Volume 14 drawing! 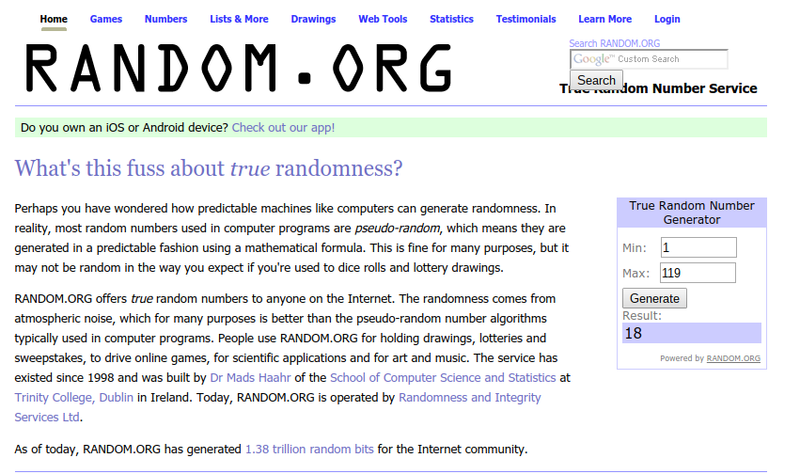 The Random Number Generator chose No. 18! 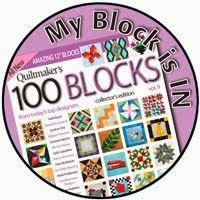 The winner is Bonnie and she sent me her mailing information which I've forwarded to Quiltmakers. Congratulations Bonnie! 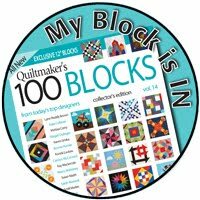 I am so thrilled to have my block, Order in the Court, included in Volume 14. Can you see how it got it's name? It should look like a cousin to the block known as Courthouse Steps. 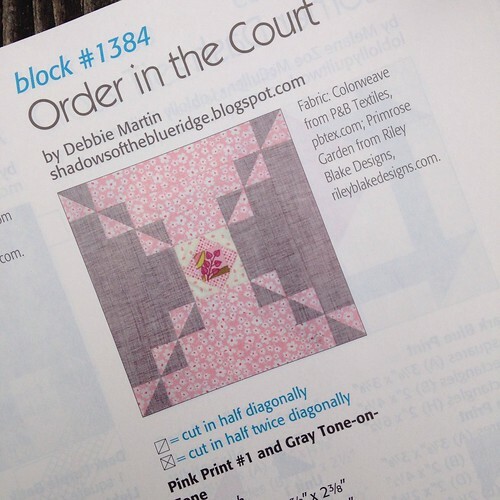 Order in the Court came about as the result of a challenge I put together during Quiltmaker's Volume 12 blog hop this time last year. 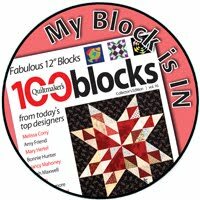 I asked visitors to tell me their favorite quilt block when they left a comment, and said I may use that as a jumping off point for a new design. Far and away the favorite block of most was the log cabin. 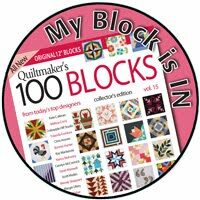 I previously submitted a block, Flowers for the Cabin, to Quiltmaker's Volume 13 designed around the log cabin block; you can read more about it here if you're interested. In keeping with the challenge I tried everything I could think of for another design with a log cabin block, but just couldn't come up with anything. I was starting to think I'd have to move to something else for inspiration. Then, I got to thinking about the Courthouse Steps block, and how it's a sister to the log cabin block. Ahhh...Courthouse Steps. Now this block showed some promise. 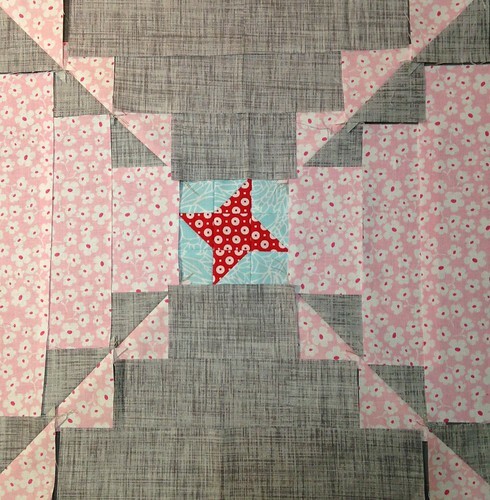 Since star blocks came in a close second to log cabin I thought a simple friendship star might work for the center. I also thought I'd like to use contrasting fabric to really draw attention to the center, but this just wasn't speaking to me. Next, I thought a small shoefly in the center would be cute. I do like this, but the colors were just not right so I set the block aside to ponder more options. Home one day because of a snow storm, I pulled some pretty fabric scraps in softer colors, and sat down to play with them. The always versatile square in a square came about, and seemed to be just the right center for this Order in the Court block. Although, I bet if I changed out the fabrics any of these three options would work fine. 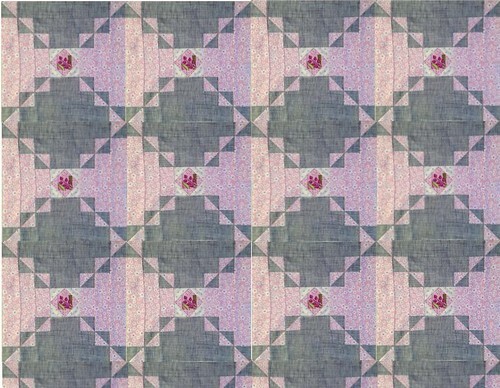 Here's a picture to give an idea what Order in the Court would look like as a quilt top. Pretty fun! Rather than looking like courthouse steps it turns out more like chunky plus signs. Don't you love how the look of a block changes when you combine them? I don't have any special software, so this picture was made in Google Drawings by just copying and pasting. How about a giveaway?! 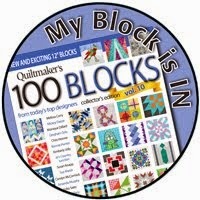 Quiltmaker's is generously giving one of my blog readers a free issue of 100 Blocks, Volume 14. For a chance to win leave me a comment telling me about your holiday sewing - do you enjoy making homemade gifts? Are you an early starter, or a last minute crafter? Any good go-to gift ideas you want to share? :o) If you suspect you may be a "no reply" blogger please make sure to include your email address in your comment. 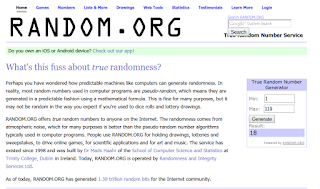 I'll draw a random winner on Saturday morning, November 19. Well friends, thanks so much for stopping by and letting me tell you all about Order in the Court. I hope you soak in a lot of inspiration as you visit all the blogs on the tour. 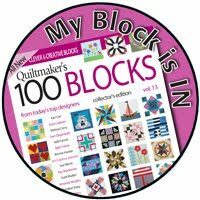 You can read about the tour and find links to the featured blogs on Quiltmaker's blog, Quilty Pleasures. I hope you've enjoyed stopping by :o) I'd love to see you back here again. 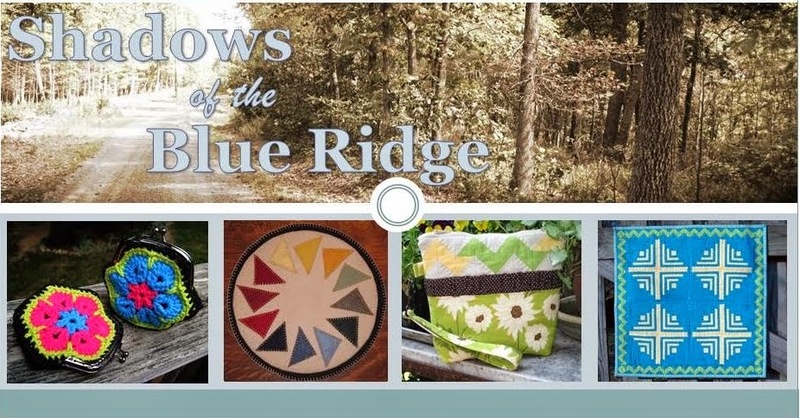 If you'd like regular updates from Shadows of the Blue Ridge consider signing up for an email subscription (top right of your screen), or you can find me on Bloglovin'. First up is a pillow for a baby shower. 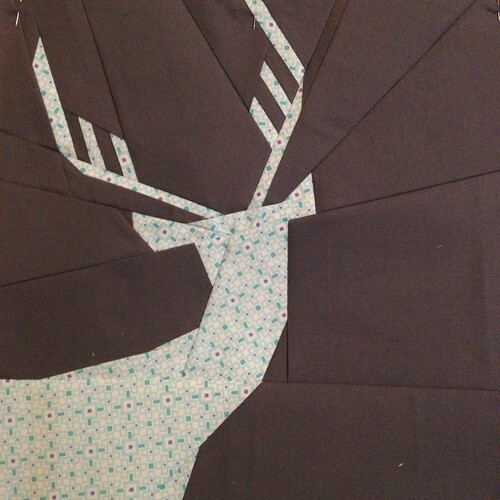 This sweet silhouette is call the Not So Spring Deer and is a paper-pieced pattern from Julianna of Sewing Under Rainbows. 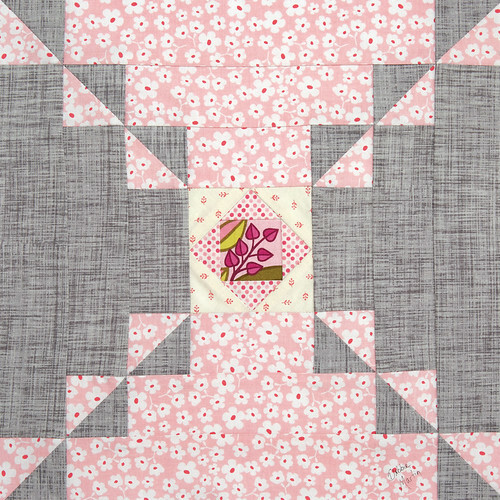 A woodland theme with a color scheme of gray, white, and a touch of blue was the objective for this little quilt. I just finished the pillow top and have a plan for hand quilting on this. I'd like to find a soft flannel to use for the pillow back. Right after that baby shower a fourth sweet one is on the way in my nephew's family! 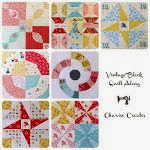 I have free reign to pick a design and colors for this baby quilt. Last year a friend of mine gave me some vintage quilt books she bought at an auction. 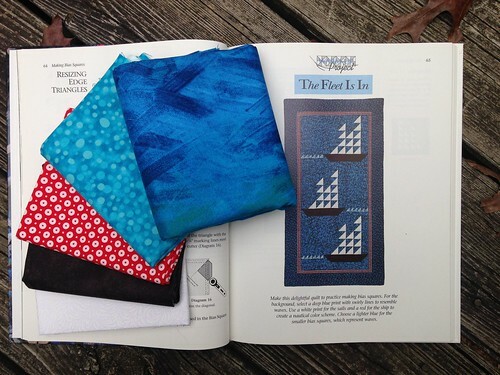 One of them, Quick & Easy Quiltmaking, published by That Patchwork Place, has a fun quilt named, The Fleet Is In which features tall ships. 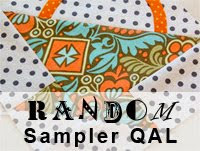 This is another pattern that I knew I'd love to make, so the occasion of a new baby is perfect! I think these bright fabrics will bring it right up to speed with a more modern look. 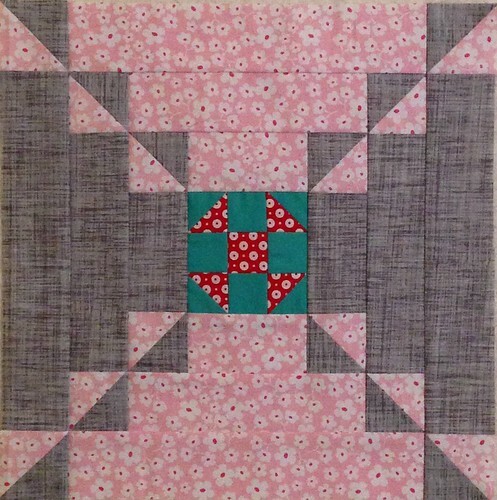 Finally, October was my month to choose the quilt design and destination for the Faith Circle of do. Good Stitches. We are making a Quilt of Valor for a very special young soldier. I'll be writing more about that later, but for now I thought I'd show the pretty blocks the members of Faith Circle sent me. 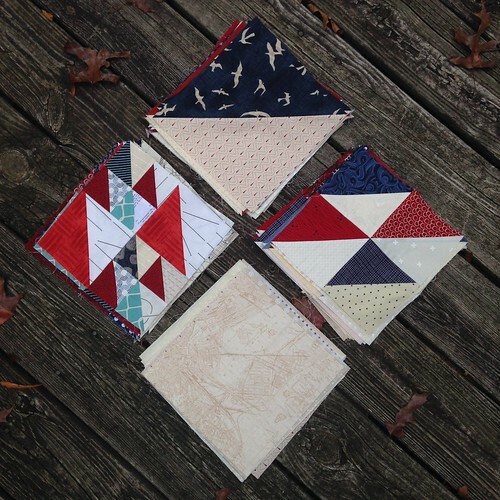 I asked for half-square triangles and solid blocks measuring 8-1/2" square using Americana colors. 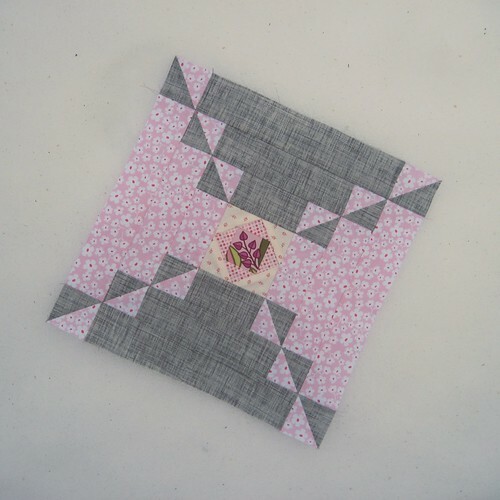 My goal is to make a quilt that looks similar to this beautiful design by Ara Jane, and made by the Love Circle of do. Good Stitches. Okay friends - this is my accountability post :o) We'll see how well I do staying on task! How about you? What are you working on that needs to get finished?